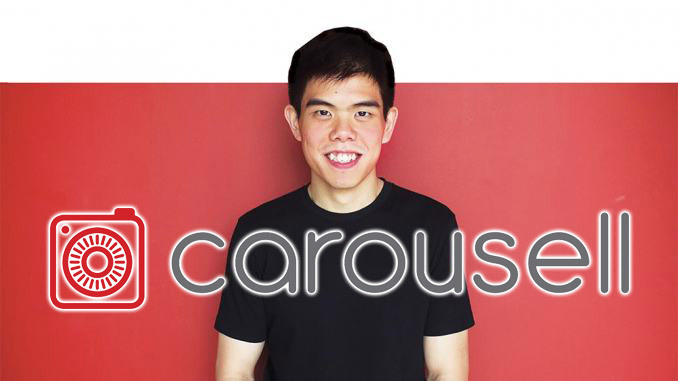 wrote Quek Siu Rui, 28, co-founder of Carousell, on his Twitter page. The top National University of Singapore (NUS) business graduate has always opted for the road less travelled. Despite having stellar O Level results in an era that favoured the Junior College route, he chose to enrol in Ngee Ann Polytechnic’s business studies course as he wanted to be engaged in idea-stimulating projects. Quek’s idea of creating a digital flea market was born when he was figuring out ways to sell his old Apple laptop online. This led to him developing a buying and selling app, Carousell, where a seller just needs to snap a photo of the product with his phone camera and get it listed for sale on his mini home page. Carousell came up trumps in the NUS Startup Weekend competition. After convincing his parents about starting up Carousell in 2012, Quek and his two other co-founders, Lucas Ngoo and Marcus Tan, beat their brains out every day trying to persuade sellers to try out their app. In the beginning, the interactive digital buying and selling platform had only 80 users and 800 items listed for sale. Today, Carousell is a howling success – the items listed in Singapore alone have reached an overwhelming six million, and the mobile-commerce app has also got a foothold in Indonesia, Taiwan and Malaysia. Carousell’s future looks bright. It has managed to attract an impression funding of US$6 million (S$8.2 million) from Sequoia Capital, Rakuten Ventures, Golden Gate Ventures, 500 Startups and Darius Cheung, an independent investor. Epoch Times: In your opinion, what makes Carousell successful? One of our favourite quotes at Carousell is “we are less than 1% done”. I think that reflects our view on success – there are always more meaningful problems to solve, and more ways for us to make Carousell a safe and enjoyable community marketplace for people to buy, sell and connect with one another. Before Carousell, most people used their computers to buy and sell on online marketplaces and in forums. They had to go through multiple steps to list an item for sale, or search through forum threads or pages of product listings to find what they really wanted. You often needed a pretty good idea of how the forums or online stores worked, as they were rather complex and difficult to use. Then there was a rise in smartphone adoption. It became the main platform people use daily to search online, connect on social media, or simply to chat with friends. We wondered if buying and selling could be as simple as using the core functionality of the smartphone that people used daily: taking photos and chatting. Hence our design philosophy at Carousell is to make selling as easy as taking a photo, and buying as simple as chatting! Since our launch in May 2012, there have been over 26 million listings in 12 major cities around the world. Epoch Times: How do you deal with copycats? The launch of any other marketplace app is further validation that the problem we are solving is a massive one, and shows a real need for innovation in marketplaces that have traditionally only served the desktop internet users community. We began solving this problem almost four years ago since May 2012, and we’ll continue to stay focused on problem-solving and use the lessons learned to keep improving. Epoch Times: Why is it important to stay innovative? Can one be trained to be more innovative? No one says it better than Steve Jobs: “If you don’t cannibalise yourself, someone else will.” Technology is improving at a rapid clip, and problems will be solved in improved ways. There will always be new problems to solve, leading to newer and better products. People can be trained to be more innovative if they acknowledge this. Focus on first principles and solve problems. That’s a core value at Carousell, and how we started Carousell in the first place. We set out to solve a problem. Epoch Times: What is the startup scene like in Singapore? It’s an exciting time to be part of the tech scene in Singapore. There’s been increasing support for entrepreneurs from the government and private sector, which has encouraged the growth of more innovative start-ups here. We have seen the startup community grow from a partially filled Blk 71 to now three blocks full of startups in Launchpad. There’s Timbre+ and also three to four more blocks in construction. We’ve also seen many international VCs set up shop in Singapore over the past two years, and they’ve also committed resources to fund startups. There’s still a lot of room for improvement, and we hope that this vibrant, growing scene will attract even more startups and talent to join the Singapore startup community. It’s good to have more passionate and talented people solving meaningful problems and making an impact with technology. Epoch Times: How does Singapore’s start-up culture compare to Silicon Valley’s? In Singapore, we tend to take less risks because of the stigma of failure. As a result, we don’t set ourselves the moonshot goals that startups in Silicon Valley do. One of my biggest goals when attending the NUS Overseas College (NOC) Silicon Valley programme was to get over my fear of failure. It’s always been a dream of mine to launch a start-up right after school. Being immersed in the risk-taking culture of Silicon Valley helped allay that fear. In fact, starting up right out of school was my litmus test of whether the NOC was a successful programme for me. Epoch Times: In your opinion, how can we produce more innovators in Singapore? By helping people to realise that they can use their passion and talent to solve meaningful problems. And to give them opportunities in a supportive environment to try regardless of success or failure. Epoch Times: Out of curiosity, how does Carousell earn profit? We are currently pre-revenue. We take a very long term view, and hence decided to first focus all our resources on improving our product and in growing our global presence. That said, what we are doing is not reinventing a business model, only reimagining the experience. We are rather like an online classifieds business, and typically such businesses make money from advertising revenue and premium services. Epoch Times: Share with us your words of encouragement for aspiring entrepreneurs. Be absolutely passionate about what you’re doing. There are a ton of challenges that you’ll go through daily in a startup, and the only reason why you’ll keep persevering and pressing on is because you care a lot about what you do. 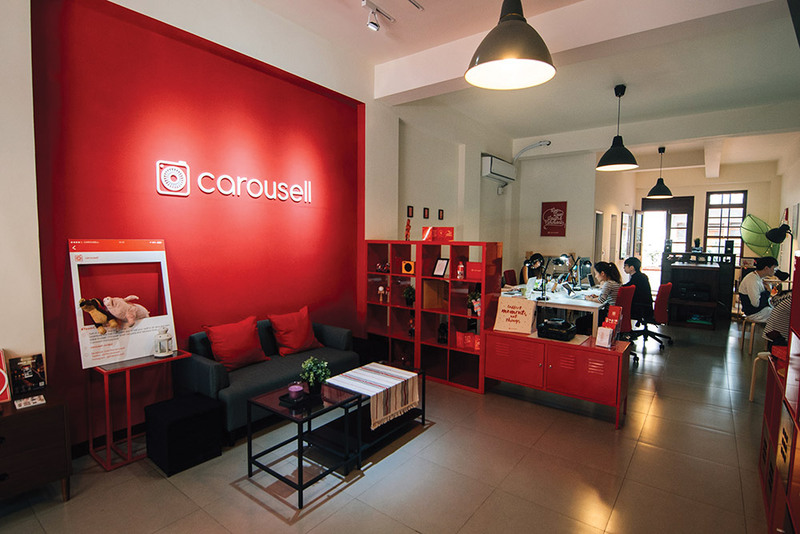 Epoch Times: What’s your future plan for Carousell? [To constantly improve] the product: The space we are operating in is still nascent, and there’s a lot more room for us to improve. We intend to stay close to the community and improve our product by solving their problems, while constantly innovating the buying and selling experience using the latest technologies. [To serve] the world: The problem we are solving is a global one, and we have this once in a lifetime opportunity to be the world’s largest community marketplace because of the mobile phenomenon. Our goal is to make online selling accessible to every smartphone user in the world. We have learned a lot in the past 3.5 years and are ready to aggressively expand internationally. We recently recruited the former MD of SE Asia at Airbnb, who was also their first employee in SE Asia, to join Carousell to lead our international expansion.